Find out the difference between the different rope classifications. 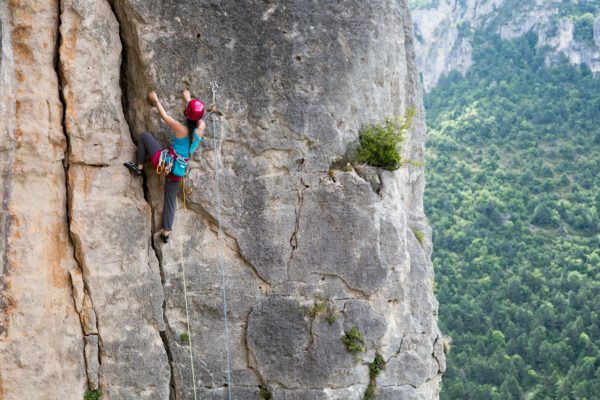 There are three international classification standards for dynamic climbing ropes–single, half, and twin–each suited to a particular style of climbing and terrain. Half ropes are designed to be used in pairs. The strands can be clipped together or separately into alternating protection points throughout the route. A half rope system reduces rope drag on wandering routes, facilitates longer rappels, and provides redundancy on risky terrain. Half ropes are designed and tested to perform differently than single and twin ropes. All dynamic ropes should be used in systems for which they have been designed and tested. Using any rope outside of it’s recommended application can dramatically increase the associated risks. Choose ropes and belay systems that are compatible with the route and style of climbing. How was the max. impact force of 12kN determined? Why the 55kg test mass for half ropes? What if a 80kg test mass was used on half ropes? Why the 8kN impact force for half ropes? What is the impact force of a rope? What are fall factors and impact forces? 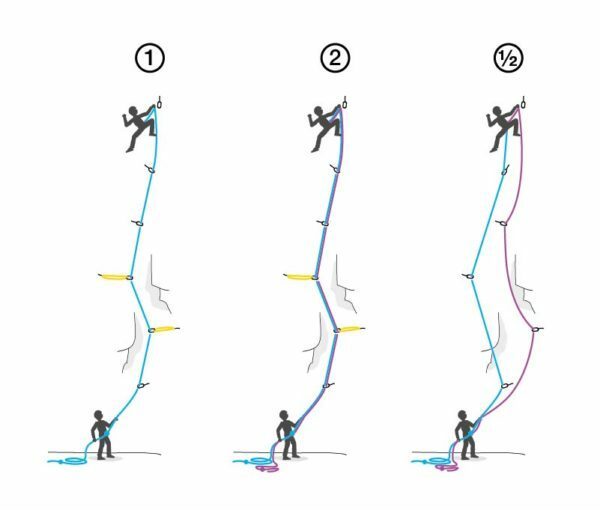 What kind of forces are generated during a climbing fall? What are the consequences of bad rope drag?